Genesis, a book of wondrous stories, is also a profound exploration of the human condition. From Cain and Abel to Joseph and his brothers, the narrative focuses on the corrosive effects of envy and resentment. Ultimately, it shows a path toward reconciliation. 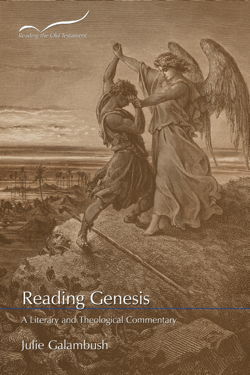 Julie Galambush applies current historical, archaeological, and literary scholarship to create a nuanced and highly accessible commentary, explaining the history behind the writing of Genesis, the customs and laws that “went without saying” for ancient readers, and even the puns that enrich the original Hebrew but are lost in translation. She also addresses the challenges facing contemporary Jews and Christians who accept Genesis as sacred Scripture but reject practices the Genesis authors readily accepted, such as slavery and the “gifting” of women as concubines. Reading Genesis invites any reader, religious or otherwise, to listen in and to join in on this ancient conversation on what it means to be human. Julie Galambush is Walter G. Mason Distinguished Associate Professor of Religious Studies, Emerita, at The College of William & Mary. She holds bachelor of arts and master of divinity degrees from Yale University and a doctorate in Old Testament Studies from Emory University and is a frequent lecturer in churches and synagogues. Edited by Mark E. Biddle, Russell T. Cherry Professor of Hebrew Bible/Old Testament at Baptist Theological Seminary at Richmond, the Reading the Old Testament commentary series presents cutting-edge biblical research in accessible language. Reading Genesis is an amazing piece of work with a literary flair par excellence. It is readily accessible to all readers, with new insights even for trained scholars as well. It is rich in information, including comparative material from the ancient Near Eastern world, that is sure to enlighten all readers. Galambush’s feminist concerns and insights also shine through as she raises the women in Genesis to prominence. A must read for everyone interested in understanding Genesis! Julie Galambush is a gifted and engaging teacher. Her new introduction to the book of Genesis engages the complexities of that notoriously difficult book with clarity, scholarly skill, humanity, and a welcome sense of humor. Reading Genesis is a learned, beautifully written commentary that is truly for every serious reader of the Bible. 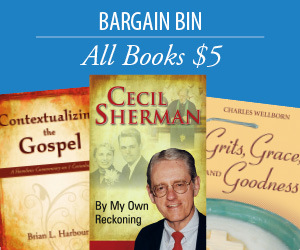 It speaks to the reader who is searching for spiritual insight without compromising an iota of serious scholarship. Julie Galambush knows the field of contemporary Bible studies as well as the traditional commentaries. Most of all, Dr. Galambush is a careful reader who knows how to go deeply into the text’s many layers.